Harry Potter and the Prisoner of Azkaban is a 2004 British-American fantasy film directed by Alfonso Cuarón and distributed by Warner Bros. Pictures. It is based on the novel of the same name by J. K. Rowling. The film, which is the third instalment in the Harry Potter film series, was written by Steve Kloves and produced by Chris Columbus (director of the first two instalments), David Heyman, and Mark Radcliffe. The story follows Harry Potter's third year at Hogwarts as he is informed that a prisoner named Sirius Black has escaped from Azkaban intending to kill him. The film stars Daniel Radcliffe as Harry Potter, alongside Rupert Grint and Emma Watson as Harry's best friends Ron Weasley and Hermione Granger. It also features well-known actors in supporting roles, including Gary Oldman, David Thewlis, Michael Gambon (in his debut in the role of Albus Dumbledore), Emma Thompson and Timothy Spall. It is the sequel to Harry Potter and the Chamber of Secrets and is followed by Harry Potter and the Goblet of Fire. The film was released on 31 May 2004 in the United Kingdom and on 4 June 2004 in North America, as the first Harry Potter film released into IMAX theatres and to be using IMAX Technology. It is also the last Harry Potter film to be released on VHS. The film was nominated for two Academy Awards, Best Original Music Score and Best Visual Effects at the 77th Academy Awards in 2005. Prisoner of Azkaban grossed a total of $796.7 million worldwide, with its box office performance ranking as the lowest-grossing in the series. However, it is the second-best-reviewed film of the series (behind Harry Potter and the Deathly Hallows – Part 2) according to review aggregator Rotten Tomatoes and is also considered to be the best Harry Potter film by many critics and fans. The trio are returning to Hogwarts for the school year on the Hogwarts Express when dementors suddenly board the train, searching for Sirius. One enters the trio's compartment, causing Harry to pass out. New Defence Against the Dark Arts teacher Professor Lupin repels the dementor with a Patronus Charm. At Hogwarts, headmaster Albus Dumbledore announces that dementors will be guarding the school while Sirius is at large. Hogwarts groundskeeper Hagrid is announced as the new Care of Magical Creatures teacher; his first class goes awry when Draco Malfoy deliberately provokes a hippogriff, Buckbeak, who attacks him. Draco's father Lucius Malfoy later has Buckbeak sentenced to death. The Fat Lady's portrait, which guards the Gryffindor quarters, is found ruined and empty. Terrified and hiding in another painting, the Fat Lady tells Dumbledore that Sirius Black has entered the castle. During a stormy Quidditch match, dementors attack Harry, causing him to fall off his broomstick, which is then destroyed by the Whomping Willow. At Hogsmeade, Harry is shocked to learn that not only had Sirius Black been his parents' best friend and betrayed them to Voldemort, but that Sirius is also his godfather. Lupin privately teaches Harry to defend himself against dementors, using the Patronus Charm. After Harry, Ron and Hermione witness Buckbeak's execution, Ron's pet rat Scabbers bites him and escapes. When Ron gives chase, a large dog appears and drags both Ron and Scabbers into a hole at the Whomping Willow's base, which is actually an underground passage to the Shrieking Shack. The trio discovers that the dog is actually Sirius, who is an Animagus. Lupin arrives and embraces Sirius as an old friend. He admits to being a werewolf, and explains that Sirius is innocent. Sirius was falsely accused of betraying James and Lily to Voldemort, and murdering their mutual friend Peter Pettigrew. It is revealed that Scabbers is actually Pettigrew, an Animagus who committed the crime for which Sirius was convicted. After forcing him back into a human, Lupin and Sirius prepare to kill him, but Harry convinces them to turn Pettigrew over to the dementors. As the group departs, the full moon rises; Lupin transforms into a werewolf, and Sirius transforms into his dog form to fight him off. In the chaos, Pettigrew escapes in his rat form. Sirius and Harry are attacked by dementors and Harry sees a figure in the distance save them by casting a powerful Patronus spell. He believes the mysterious figure is his dead father, and passes out. He awakens to discover that Sirius has been captured and sentenced to the Dementor's Kiss. Acting on Dumbledore's advice, Harry and Hermione travel back in time with Hermione's Time Turner, and watch themselves and Ron repeat the night's events. They save Buckbeak from execution and witness the Dementors overpower Sirius and Harry. The present Harry realises that it was actually him who conjured the Patronus, and does so again. Harry and Hermione then rescue Sirius, who escapes on Buckbeak. Lupin resigns to preempt an uproar from parents over a werewolf teaching their children. Sirius sends Harry a Firebolt broom, the fastest broom in the world, and Harry happily takes it for a ride. Daniel Radcliffe as Harry Potter, a 13-year-old British wizard famous for surviving his parents' murder at the hands of the evil dark wizard Lord Voldemort as an infant, who now enters his third year at Hogwarts School of Witchcraft and Wizardry. Emma Watson as Hermione Granger, Harry's Muggle-born best friend and the trio's brains. Robbie Coltrane as Rubeus Hagrid, the gamekeeper and new Care of Magical Creatures teacher at Hogwarts. Michael Gambon as Albus Dumbledore, the headmaster of Hogwarts and one of the greatest wizards of the age. Gambon assumed the role after Richard Harris, who played Dumbledore in the previous two films, died on 25 October 2002. Despite his illness, Harris was determined to film his part, telling a visiting David Heyman not to recast the role. Four months after Harris's death, Cuarón chose Gambon as his replacement. Gambon was unconcerned with bettering or copying Harris, instead giving his own interpretation, putting on a slight Irish accent for the role, as well as completing his scenes in three weeks. Rumours of Ian McKellen being offered the role started to spread, but when confronted, he turned the rumours down, stating that he has played a similar character in Gandalf of The Lord of the Rings trilogy. He also stated it would have been inappropriate to take Harris' role, as the late actor had called McKellen a "dreadful" actor. Harris's family had expressed an interest in seeing Harris's close friend Peter O'Toole being chosen as his replacement. Gary Oldman as Sirius Black, Harry's infamous godfather, who escapes from the Wizarding prison Azkaban after serving twelve years there for being falsely accused of being the Death Eater who betrayed Harry's parents to Voldemort. Oldman accepted the part because he needed the money, as he had not taken on any major work in several years, having decided to spend more time with his children. He drew inspiration from Cuarón, whom he described as having "such enthusiasm and a joy for life," and compared Sirius to John Lennon. He was "surprised by how difficult it was to pull off", comparing the role to Shakespearean dialogue. Oldman suggested Sirius's hairstyle, while Cuarón designed his tattoos. He had read the first book, and his children were fans of the series. The part made Oldman a hero with his children and their schoolmates. Timothy Spall as Peter Pettigrew, a friend of Harry's parents said to have been killed by Sirius Black, but was later revealed to have been the real Death Eater who betrayed Harry's parents to Voldemort. David Thewlis as Remus Lupin, the new Defence Against the Dark Arts teacher at Hogwarts and a werewolf. Thewlis, who had previously auditioned for the role of Quirrell in Harry Potter and the Philosopher's Stone, was Cuarón's first choice for the role of Professor Lupin. He accepted the role on advice from Ian Hart, the man who was cast as Quirrell, who told him that Professor Lupin was "the best part in the book." Cuarón told Thewlis that he thought Lupin was gay, pitching him as a "gay junkie", although his idea turned out to be incorrect. Thewlis had seen the first two films and had only read part of the first book, although after taking the role he read the third. He was excited about the prospect of making a children's film, and thoroughly enjoyed filming. With Prisoner of Azkaban, production of the Harry Potter films switched to an eighteen-month cycle, which producer David Heyman explained was "to give each [film] the time it required." Chris Columbus, the director of the previous two films, decided not to return to helm the third instalment as he "hadn't seen [his] own kids for supper in the week for about two and a half years." Even so, he remained on as a producer alongside Heyman. Guillermo del Toro was approached to direct, but considered the film "so bright and happy and full of light, that [he] wasn't interested." Marc Forster turned down the film because he had made Finding Neverland and did not want to direct child actors again. M. Night Shyamalan was considered to direct but turned it down because he was working on his own film The Village (2004 film). Warner Bros. then composed a three-name short list for Columbus's replacement, which comprised Callie Khouri, Kenneth Branagh (who played Gilderoy Lockhart in Chamber of Secrets) and eventual selection Alfonso Cuarón. Cuarón was initially nervous about accepting as he had not read any of the books, or seen the films. After reading the series, he changed his mind and signed on to direct, as he had immediately connected to the story. Cuarón's appointment pleased J. K. Rowling who loved his film Y Tu Mamá También and was impressed with his adaptation of A Little Princess. Heyman found that "tonally and stylistically, [Cuarón] was the perfect fit." As his first exercise with the actors who portray the central trio, Cuarón assigned Radcliffe, Grint and Watson to write an autobiographical essay about their character, written in the first person, spanning birth to the discovery of the magical world, and including the character's emotional experience. Of Rupert Grint's essay, Cuarón recalls, "Rupert didn't deliver the essay. When I questioned why he didn't do it, he said, 'I'm Ron; Ron wouldn't do it.' So I said, 'Okay, you do understand your character.' That was the most important piece of acting work that we did on Prisoner of Azkaban, because it was very clear that everything they put in those essays was going to be the pillars they were going to hold on to for the rest of the process." Principal photography began on 24 February 2003, at Leavesden Film Studios, and concluded in October 2003. The third film was the first to extensively utilise real-life locations, as much of the first two films had been shot in the studio. Some sets for the film were built in Glen Coe, Scotland, near the Clachaig Inn. The indoor sets, including ones built for the previous two films, are mainly in Leavesden Film Studios. 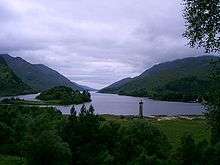 The Hogwarts Lake was filmed from Loch Shiel, Loch Eilt and Loch Morar in the Scottish Highlands. Incidentally, the train bridge, which was also featured in the Chamber of Secrets, is opposite Loch Shiel and was used to film the sequences when the Dementor boarded the train. A small section of the triple-decker bus scene, where it weaves in between traffic, was filmed in North London's Palmers Green. Some parts were also filmed in and around Borough Market and Lambeth Bridge in London. Hogwarts grew and expanded significantly with the third film. For the first time, the Hogwarts courtyard and bridge were seen. At the end of the bridge, rock monoliths were placed onto the hillside to evoke a Celtic feeling. The use of live-action also significantly changed the look of Hagrid's hut. In the first two films, it appeared at the end of a flat stretch, right in front of the Forbidden Forest. The third film utilised the more rugged Scottish locations to place Hagrid's hut at the bottom of a steep hillside. A large pumpkin patch was added behind the hut. The Honeydukes set in this film is a redress of the set of Flourish & Blotts that was seen in Chamber of Secrets, which, in turn, was a redress of the Ollivanders set from the first film. Rowling allowed Cuarón to make minor changes to the book, on the condition that he stuck to the book's spirit. She allowed him to place a sundial on Hogwarts' grounds, but rejected a graveyard, as that would play an important part in the then unreleased sixth book. Rowling said she "got goosebumps" when she saw several moments in the film, as they inadvertently referred to events in the final two books, she stated "people are going to look back on the film and think that those were put in deliberately as clues." When filming concluded, Cuarón found that it had "been the two sweetest years of my life," and expressed his interest in directing one of the sequels. Cuarón originally wanted to move away from CGI toward puppetry. He hired master underwater puppeteer Basil Twist to help, using puppets to study the potential movement of the Dementors. Once it became apparent that puppetry would be too expensive and unable to portray the specific elements of the Dementors, Cuarón turned to CGI; however, he and his team did use footage of Dementor puppets underwater as a basis for the flowing movements of the computer-generated Dementors. The Knight Bus segment when Harry is being taken to The Leaky Cauldron uses the technique known as bullet time, popularised in The Matrix series of films. This segment takes humorous advantage of the magic quality of the Harry Potter world by having the Muggle world go into bullet time while inside the Knight Bus, Harry, Stan Shunpike and Ernie Prang (and the talking shrunken head) keep moving in real time. The Academy Award-nominated score was the third and final score in the series to be composed and conducted by John Williams. It was released on CD on 25 May 2004. In general, this film's music is not as bright as that of the previous films, with distinct medieval influences in the instrumentation. One of the new themes, "Double Trouble," was written during production so that a children's choir could perform it in Hogwarts's Great Hall in one of the film's earlier scenes. The lyrics of "Double Trouble" are from a ritual performed by the Weïrd Sisters in Act 4, Scene 1 of Shakespeare's Macbeth. The film's trailer prominently features the cues "Anticipation" and "Progeny" by Brand X Music, a trailer music band. Prisoner of Azkaban was, at the time of publication, the series' longest book. The increasing plot complexity necessitated a looser adaptation of the book's finer plot lines and back-story. The film opens with Harry using magic to light his wand in short bursts, whereas in the same scene in the book, he uses a flashlight, as performing magic outside the wizard world is illegal for wizards under the age of seventeen. The connection between Harry's parents and the Marauder's Map is only briefly mentioned, as is Remus Lupin's association to both the map and James Potter. Additionally, it was never mentioned who the Marauders were or who the nicknames Moony, Wormtail, Padfoot, and Prongs referred to. Some exposition was removed for dramatic effect: both the Shrieking Shack and Scabbers the rat are mentioned only very briefly in the film, while they receive a more thorough coverage in the novel. Most of Sirius Black's back story is also cut, with no mention of the manner of his escape from Azkaban. Only the first Quidditch game was kept in the film, due to its importance to the storyline; the second (Gryffindor/Ravenclaw) and third (Gryffindor/Slytherin) were cut. Thus, Harry receives the Firebolt at the film's end, while in the book he receives it anonymously at Christmas and it is confiscated for a few weeks to be checked for possible jinxes by Professor Flitwick and Madam Hooch. On account of pace and time considerations, the film glosses over detailed descriptions of magical education. Only one Hippogriff, Buckbeak, is seen, and only Malfoy and Harry are seen interacting with the Hippogriff during Care of Magical Creatures lessons, and most other lessons, including all of Snape's potions classes, were cut from the film. The Fidelius Charm's complicated description is removed entirely from the film, with no explanation given of exactly how Black "betrayed" the Potters to Lord Voldemort. Many of this scene's lines are redistributed amongst Cornelius Fudge and Minerva McGonagall; in compensation, McGonagall's exposition of the Animagus transformation is instead given by Snape. In the film, where Harry and Hermione have travelled back in time and are hiding outside of Hagrid's hut, it is heavily implied that Dumbledore somehow knows that they are there, as he distracts the other characters at key moments or slows down the proceedings (such as by suggesting that he sign Buckbeak's execution order as well, then after Fudge agrees he says it will take some time as he has an extremely long name), which allows Harry and Hermione time to free Buckbeak unseen. In the book, Dumbledore merely comments that the executioner must sign the order, right before he is about to leave the cabin to execute Buckbeak. The embryonic romantic connection between Ron and Hermione is more prominent in the film than the book; in response to criticism of the first two films for sacrificing character development for mystery and adventure, the emotional development of all three lead characters is given more attention in the third film. However, some critics and fans thought that the result was a murky plotline. That said, any mention of the beginnings of Harry's crush on Cho Chang is removed. Chang herself is not even seen until the next film. Harry's darker side is first glimpsed in this film, when Harry proclaims, "I hope he [Black] finds me. Cause when he does, I'm going to be ready. When he does, I'm going to kill him!" As with the series' previous instalments, Prisoner of Azkaban was a large merchandising opportunity. The video game version, designed by EA UK, was released 25 May 2004 in North America and 29 May 2004 in Europe. Mattel released film tie-ins that included the Harry Potter Championship Quidditch board game and character action figures. Lego also expanded on its previous merchandising for the first two films with the release of sets ranging from the Knight Bus to the Shrieking Shack. Harry Potter and the Prisoner of Azkaban held its New York premiere at Radio City Music Hall on 23 May 2004, followed by its London premiere at Leicester Square on 30 May 2004. The film then opened in the United Kingdom on 31 May 2004 and on 4 June 2004 in the United States. It was the first film in the series to be released in both conventional and IMAX theatres. Upon release, the film broke the record for biggest single day in the United Kingdom's box office history making £5.3 million on a Monday. It went on to break records both with and without previews making a stunning £23.9 million including previews and £9.3 million excluding them. The Prisoner of Azkaban had the highest-opening weekend at the UK's box office, until Spectre beat the record in 2015. It went on to make a total of £45.6 million in the UK. The film made $93.7 million during its opening weekend in the United States and Canada at 3,855 theatres, achieving, at the time, the third biggest-opening weekend of all time. This opening also broke Hulk's record ($62.1 million) for the highest-opening weekend for a film released in June. The Prisoner of Azkaban held this record for five years until Transformers: Revenge of the Fallen topped it in 2009 with $108.9 million. The film was also No. 1 at the North American box office for two consecutive weekends. The Prisoner of Azkaban made a total of $796.7 million worldwide, which made it 2004's second-highest-grossing film worldwide behind Shrek 2. In the US and Canada, it was only the year's sixth-highest-grossing film, making $249.5 million. Everywhere else in the world, however, it was the year's number one film, making $547 million compared to Shrek 2's $478.6 million. 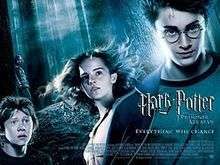 Despite its successful box office run, Azkaban is the lowest-grossing Harry Potter film (all the others have grossed more than US$875 million worldwide). Prisoner of Azkaban earned notable critical acclaim, garnering a 91% "Certified Fresh" approval rating at the review aggregator Rotten Tomatoes with a consensus stating, "Under the assured direction of Alfonso Cuaron, Harry Potter and the Prisoner of Azkaban triumphantly strikes a delicate balance between technical wizardry and complex storytelling." The film also received a score of 82 out of 100 at Metacritic, which signifies "universal acclaim". Mick LaSalle of the San Francisco Chronicle lauded the film's more mature tone and said it was "darker, more complex, rooted in character." The Hollywood Reporter called the film "a deeper, darker, visually arresting and more emotionally satisfying adaptation of the J.K. Rowling literary phenomenon," especially compared to the first two installments. Peter Travers of Rolling Stone gave the film three-and-a-half out of four stars: "Not only is this dazzler by far the best and most thrilling of the three Harry Potter movies to date, it's a film that can stand on its own even if you never heard of author J.K. Rowling and her young wizard hero." Stephanie Zacharek of Salon.com asserts it to be "one of the greatest fantasy films of all time." Nicole Arthur of The Washington Post praised the film as "complex, frightening, [and] nuanced." Roger Ebert gave the film three-and-a-half out of four stars, saying that the film was not quite as good as the first two, but still called it "delightful, amusing and sophisticated" Claudia Puig from USA Today found the film to be "a visual delight," and added that "Cuaron is not afraid to make a darker film and tackle painful emotions." while Richard Roeper called the film "a creative triumph." Sean Smith from Newsweek said: "The Prisoner of Azkaban boasts a brand-new director and a bold new vision," he also called the film "moving," praising the performances by the three main leads, while Entertainment Weekly praised the film for being more mature than its predecessors. Harry Potter and the Prisoner of Azkaban was nominated for Best Original Music Score (John Williams) and Best Visual Effects at the 77th Academy Awards held in 2005. This was the second film in the series to be nominated for an Oscar. The film also ranks at No. 471 in Empire magazine's 2008 list of the 500 greatest movies of all time. IGN designated Prisoner of Azkaban as the fifth best fantasy film. Additionally, Moviefone designated the film as the tenth best of the decade. In 2011, the film was voted Film of the Decade at the First Light Awards by children aged 5–15. ↑ "Harry Potter and the Prisoner of Azkaban (PG)". British Board of Film Classification. 13 May 2004. Retrieved 27 December 2015. 1 2 3 4 5 "Harry Potter and the Prisoner of Azkaban (2004)". Box Office Mojo. Retrieved 5 February 2009. ↑ "Harry Potter and the Prisoner of Azkaban". British Film Institute. Retrieved 4 December 2016. ↑ "Actor Richard Harris dies". BBC News. 25 October 2002. Retrieved 10 October 2007. 1 2 3 4 5 Jensen, Jeff (28 October 2005). "A Look Back". Entertainment Weekly. Retrieved 10 October 2007. 1 2 "Dumbledore and Sirius cast for Azkaban". Newsround. 21 February 2003. Retrieved 10 October 2007. 1 2 3 4 Vaughan, Johnny; Henry, Lenny (2004). Head to Shrunken Head (DVD). Warner Bros. Pictures. ↑ Synnot, Siobhan (30 May 2004). "Olivier, Dumbledore and two broken ribs". The Scotsman. Retrieved 30 November 2007. ↑ "Harris' Family Calling for O'Toole To Take on Harry Potter Role". Internet Movie Database. 9 January 2003. Retrieved 30 November 2007. 1 2 "Coventry Evening Telegraph: GO: CINEMA: I CASHED IN ON HARRY POTTER!". Coventry Evening Telegraph. 28 May 2004. 1 2 3 "Gary Oldman: Seriously Sirius". Newsround. 28 May 2004. Retrieved 30 November 2007. ↑ "David Thewlis on Professor Lupin: I Always Thought He Was The Gay Character". City News. 24 October 2007. Retrieved 25 October 2007. ↑ "Chris Columbus COS: full interview". Newsround. 13 November 2002. Retrieved 10 October 2007. 1 2 Dickey, Lucinda. "The creators of Harry Potter break out of character to discuss The Prisoner of Azkaban". Science Fiction Weekly. Archived from the original on 19 August 2007. Retrieved 10 October 2007. ↑ Carroll, Larry (26 October 2007). "Guillermo Game For Harry Potter". MTV. Retrieved 26 October 2007. ↑ Susman, Gary (19 July 2002). "Great Expectations". Entertainment Weekly. Retrieved 10 October 2007. 1 2 3 4 "Alfonso Cuaron: the man behind the magic". Newsround. 24 May 2004. Retrieved 10 October 2007. 1 2 Puig, Claudia (27 May 2004). "New Potter movie sneaks in spoilers for upcoming books". USA Today. Retrieved 29 August 2007. ↑ Schmitz, Greg Dean. "Harry Potter and the Prisoner of Azkaban (2004)". Yahoo! Movies. Retrieved 10 October 2007. ↑ Shakespeare, William (2009). Macbeth. 4.1.10–45: Simon & Schuster Paperbacks. pp. 119–121. ISBN 978-0-7434-7710-9. 1 2 3 4 5 6 Dadds, Kimberly; Miriam Zendle (9 July 2007). "Harry Potter: books vs. films". Digital Spy. Retrieved 10 October 2007. 1 2 "Movie Rant". CanMag Magazine. 28 November 2004. Retrieved 14 September 2007. ↑ "Harry Situation". Entertainment Weekly. 17 June 2004. Retrieved 10 October 2007. ↑ Watson, Julie (3 June 2004). "J.K. Rowling And Her Magical Cash Cow". Frobes. Retrieved 17 October 2012. ↑ Bhatnagar, Parija (10 February 2004). "Hot in 2004: Movie toys & singing Barbie". CNN Money. Retrieved 17 October 2012. ↑ "Toy Fair 2004: Harry Potter – LEGO®". Row M Enterprises, Inc. 2004. Retrieved 17 October 2012. ↑ "Potter star mobbed at US premiere". BBC News. 24 May 2004. Retrieved 17 October 2012. ↑ "Wizard turn out for Harry Potter premiere". Daily Mail. 31 May 2004. Retrieved 17 October 2012. ↑ "Potter 3 will be screened on IMAX". CBBC Newsround. 19 December 2003. Retrieved 17 October 2012. ↑ "Azkaban breaks box office record". BBC News. 2 June 2004. Retrieved 24 September 2007. ↑ "Highest UK box office opening weekends". 25th Frame. Retrieved 7 April 2011. ↑ "All time box office openings no previews". Sky is Falling. Archived from the original on 23 August 2007. Retrieved 24 September 2007. ↑ "Harry Potter and The Prisoner of Azkaban UK box office". 25th Frame. Retrieved 7 April 2011. 1 2 Gray, Brandon (7 June 2004). "Hotter Potter: Summer Bow Yields Franchise High". Box Office Mojo. Retrieved 22 September 2007. ↑ Gray, Brandon (29 June 2009). "Weekend Report: 'Revenge of the Fallen' Rises with Optimal Debut". Box Office Mojo. Retrieved 3 November 2010. ↑ "June 11-13, 2004 Weekend". Box Office Mojo. Retrieved 24 November 2013. ↑ "2004 WORLDWIDE GROSSES". Box Office Mojo. Retrieved 24 September 2007. ↑ "2004 DOMESTIC GROSSES". Box Office Mojo. Retrieved 24 September 2007. ↑ "OVERSEAS TOTAL YEARLY BOX OFFICE". Box Office Mojo. Retrieved 24 September 2007. ↑ "Harry Potter and the Prisoner of Azkaban (2004)". Rotten Tomatoes. Retrieved 13 September 2010. ↑ "Harry Potter and the Prisoner of Azkaban". Metacritic. Retrieved 21 September 2007. ↑ LaSalle, Mick (4 June 2004). "It had to happen. Harry Potter's growing up.". San Francisco Chronicle. Retrieved 21 January 2011. ↑ "Harry Potter: Prisoner of Azkaban". Hollywood Reporter. 28 May 2004. Archived from the original on 17 April 2007. Retrieved 21 September 2007. ↑ "Harry Potter and the Prisoner of Azkaban". Newsround. 27 May 2004. Retrieved 21 September 2007. ↑ Zacharek, Stephanie (3 June 2004). "Harry Potter and the Prisoner of Azkaban". Salon.com. Retrieved 17 November 2010. ↑ Arthur, Nicole (4 June 2004). "Cuaron's Magic Touch". The Washington Post. Retrieved 22 January 2011. ↑ Ebert, Roger (3 June 2004). "Harry Potter and the Prisoner of Azkaban". Chicago Sun Times. Retrieved 23 September 2007. ↑ Puig, Claudia (3 June 2004). "Azkaban wizard Cuaron casts an artful spell". USA Today. Retrieved 23 September 2007. ↑ Roeper, Richard (3 June 2004). "Harry Potter and the Prisoner of Azkaban". Ebert & Roeper. Retrieved 23 September 2007. ↑ Smith, Sean (31 May 2004). "The Harry Potter books have finally gotten the wondrous movie they deserve. The Prisoner of Azkaban boasts a brand-new director and a bold new vision.". Newsweek. Archived from the original on 5 November 2007. Retrieved 23 September 2007. ↑ Gleiberman, Owen (3 June 2004). "Harry Potter and the Prisoner of Azkaban". Entertainment Weekly. Retrieved 24 September 2007. 1 2 "The 77th Academy Awards (2005) Nominees and Winners". Academy of Motion Picture Arts and Sciences. Retrieved 16 October 2012. ↑ "Empire's Greatest Movies of all Time". Empire. Retrieved 13 December 2010. ↑ Pirrello, Phil (4 April 2011). "IGN's Top 25 Fantasy Films". IGN. Retrieved 5 April 2011. ↑ "Prisoner of Azkaban named film of the decade". BBC. 16 March 2011. Retrieved 16 March 2011. ↑ "Amanda Awards for 2005". Internet Movie Database. Retrieved 16 October 2012. ↑ "Bafta Film Awards 2005: The nominations". BBC News. 17 January 2005. Retrieved 16 October 2012. ↑ "Broadcast Film Critics Association Awards". Internet Movie Database. Retrieved 16 October 2012. ↑ "Nominee list for the 47th Annual Grammy Awards". Sound Spike. 7 December 2004. Retrieved 16 October 2012. ↑ "2005 Hugo Award Nominations". AwardWeb. Retrieved 16 October 2012. ↑ "2005 Host/Nominee Release – Knickelodeon Kids Choice Awards". Nickelodeon. 8 February 2005. Retrieved 16 October 2012. ↑ "MTV Movie Awards for 2002". Internet Movie Database. Retrieved 3 February 2011. ↑ "2004 PHOENIX FILM CRITICS SOCIETY AWARD WINNERS". Internet Movie Database. Retrieved 16 October 2012. ↑ "Academy of Science Fiction, Fantasy & Horror Films (2005)". Internet Movie Database. Retrieved 16 October 2012. ↑ "Teen Choice Awards for 2005". Internet Movie Database. Retrieved 16 October 2012.